Burlington, IA. 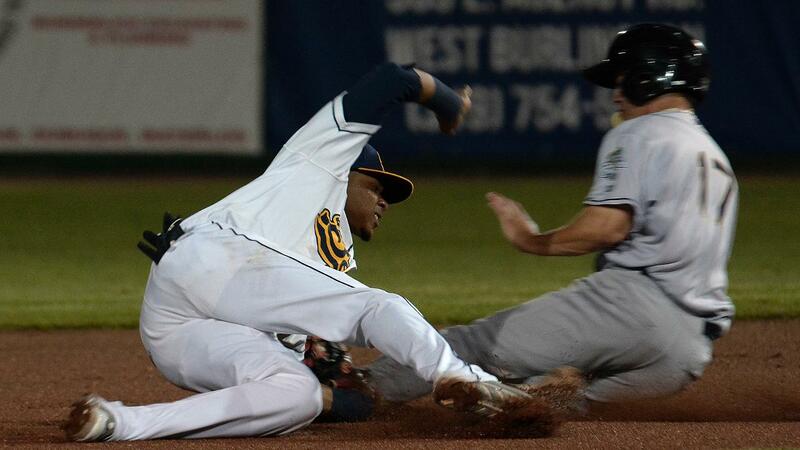 - The Kane County Cougars (17-16) dominated the Burlington Bees (15-19) in the first game of a four-game series. Brian Shaffer (1-2) got the start for the Cougars and was unhittable till the sixth inning. Shaffer went 5.2 innings, allowed just one hit and two walks, while striking out eleven of the nineteen batters he faced. Luis Madero (1-2) got the start for the Bees and looked good after the first inning, only throwing eleven pitches. However, he started to have struggles with his control in the second, which hurt his pitch count. Madero still managed to go five innings, allowing just two hits, two walks, and four strikeouts to get his ERA down to 2.88 on the season. The Bees couldn't get any momentum on offense during the game. Burlington struck-out 18 times in 27 at bats in the game. They didn't have a baserunner until the fourth inning and did not have a hit until the sixth. Burlington managed just three hits in the game and only drew two walks. Burlington's only scoring chance came in the sixth inning, when Gleyvin Pineda hit a little blooper to left field that turned into a one out double. A past ball would advance Pineda to third and then Leonardo Rivas drew a walk to put runners at the corners with one out. However, Jo Adell and Brandon Marsh would strikeout swinging, and the Cougars managed to get out of the sixth with no damage. The Bees only managed to get two hits after the sixth, a single by Torii Hunter, who would be thrown out trying to make it a double, and a single by Adell in the ninth. A team is nothing without a good bullpen, and the Cougars pen got the job done tonight. Matt Brill (2-0) and Carlos Bustamante pitched the final 3.1 innings, which earned Brill his second win of the season, and Bustamante's first save. Brill went 1.1 innings, allowing one hit and striking out three, while Bustamante went the final two innings, allowing just one hit and recording four strike outs. This game will be a big confidence booster for Bustamante, who had an ERA of 6.97 coming into today's game. Although the Bees were struggling at the plate, they entered the top of the eighth still tied with the Cougars at 0-0. However, with the lightning appearing in the horizon, the Cougars got the spark they need to get on the board. 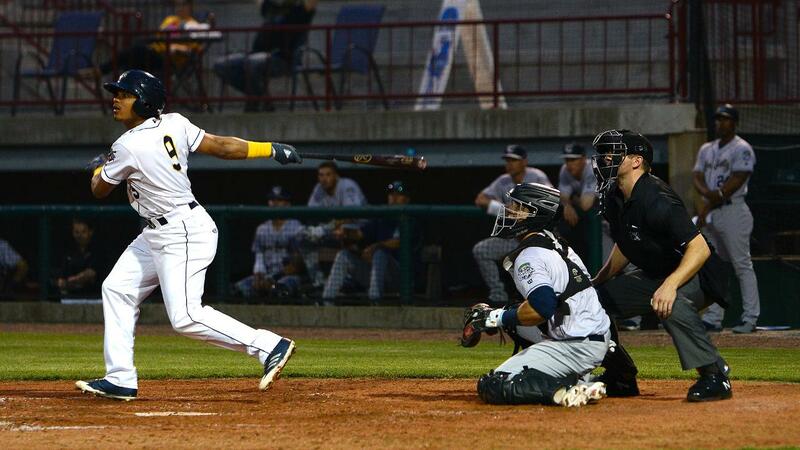 Sanchez and Maciel got back-to-back singles and Yoel Yanqui would shoot a ground ball between Torres at first and Garcia at second, that allowed Sanchez to score from second, to make the game 1-0. The play at the plate was close on an impressive throw from Brandon Marsh in right, but his throw pulled catcher Keinner Pina off the bag just enough to allow Sanchez to slide in safely. Although James Ziemba gave up the go ahead run in the eighth, the Bees still stuck with him in the ninth inning, which ended up backfiring. After an error by Garcia, Ziemba would walk the next two batters, and gave up a two-run single to Sanchez, to make the score 3-0. After walking Maciel, the Bees pulled Ziemba, and went with Kida De La Cruz. Cruz managed to strike out Jasrado Chisholm for the second out of the inning, but with the bases loaded, he would walk Yanqui and hit Martinez, which allowed two more runs to score, making it 5-0. James Ziemba attempts to hold of the Cougars late in the game. Overall, it was a rough game for the Bees bullpen. Although Brett Hanewich did have an impressive two innings coming in for Madero, pitching two innings, allowing just a walk and getting a pair of strikeouts, the walks are what ultimately did the most damage to Ziemba and De La Cruz. Ziemba finished with three walks, and De La Cruz walked one batter and hit another, both with the bases loaded. The Bees gave up seven total walks in tonight's game. If they can limit the number of walks, their pitchers will have less stressful situations, and will be able to go longer in games, allowing their bullpen to get much needed rest. The Bees will look to even the series tomorrow for Hawk Eye two-for-Tuesday. Look for your two-for-one general admission coupon in the Hawk Eye. 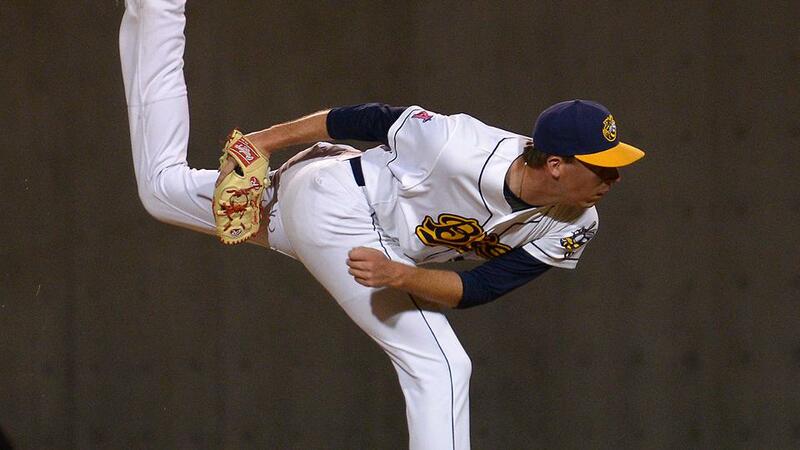 The Bees will be going with RHP Mitchell Traver. Traver has been impressive this season, he leads the Bees in wins with three, innings pitched with 28, and is in a tie for first with Jorge Tavarez with 24 strikeouts. The Cougars will be going with Jhoan Duran. Duran has a 1-0 record and a 3.00 ERA, but has only pitched nine innings in two starts, so the Bees could see him for only three or four innings.